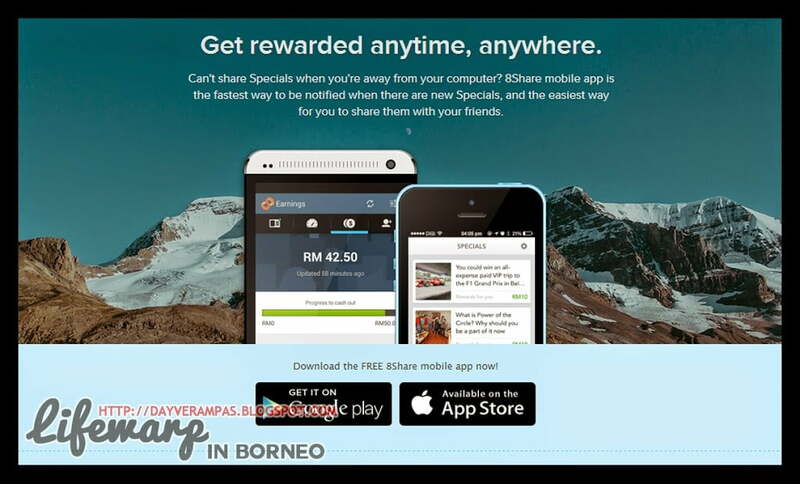 Review: 8Share - Share and Earn Cash! Some of you might be wondering why you’re having those ‘readthisstory.net‘ flooding over your Facebook Timeline. For your information, they are not virus (I know some of you are ‘traumatized’ when your Facebook has been hacked before). In fact, readthisstory.net or bit.ly is an online service that provides performance statistics for websites, shortening URL (you sure don’t wanna have a very very very very long URL just like those GeoCities era) and protects the Internet users from harmful and malicious activity that can happen when sharing links on the Internet, i.e. Facebook, and Twitter. So, what do 8Share, YouthSays, and SAYS have in common? YouthSays is an online youth opinion community that works with organizations and businesses to reward youth (in terms of cash or prizes) when they actively participate in online surveys, advertising campaigns, or campus activities. SAYS, on the other hand, is an online sharing community when people can write, read, or share news to the community. 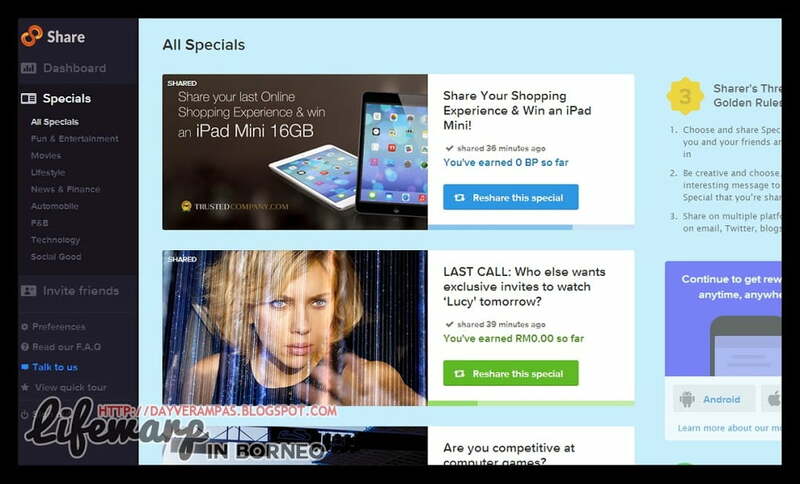 It also rewards its members when they share news via 8Share. In short, all of these are a private rewards club for social media users (the people who are using Facebook, Twitter, and Instagram) who love to grab free stuff, earning extra cash (Hey, who doesn’t love money? ), and being the first one to introduce something new to others. Sound legit, isn’t it? The concept of earning rewards via 8Share is fairly simple. All you have to do is make yourself a registered member of 8Share. Make sure you have a valid email address for them to verify your account. Once you have activated your account, you’re now eligible to earn cash and bonus points. You may also invite your friends to earn more money. 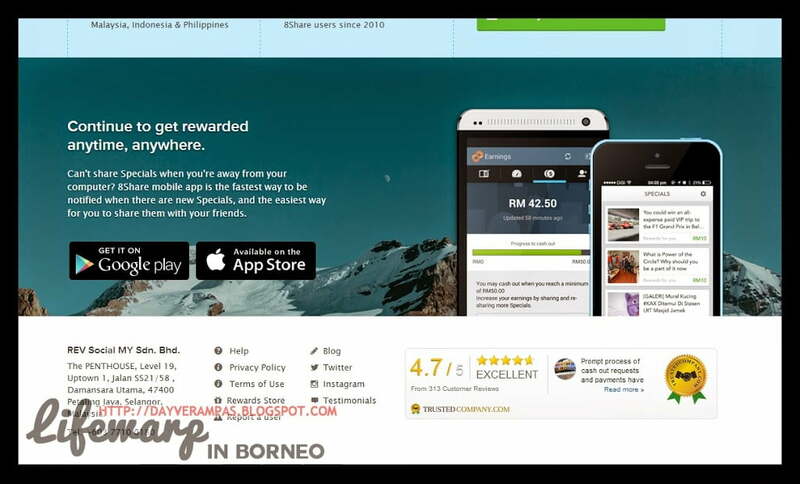 Hey, your friends will also get RM1.00 (in their account) once they have activated their 8Share account. When your friend that you invited has earned their first 10 unique visits, your reward will automatically be credited to your 8Share account. Apart from cash rewards, you will also be able to enjoy Bonus Points (BP) which shows how much you have contributed to the social sharing environment. Your BP can be used to claim an 8Share merchandise as and when they are announced to be available. Visit 8Share FAQ here for more details. You can also share and earn rewards when you’re away from your computer. All you have to do is to download 8Share apps from Google Play or iTunes and get started in 30 seconds! Who can join 8Share? 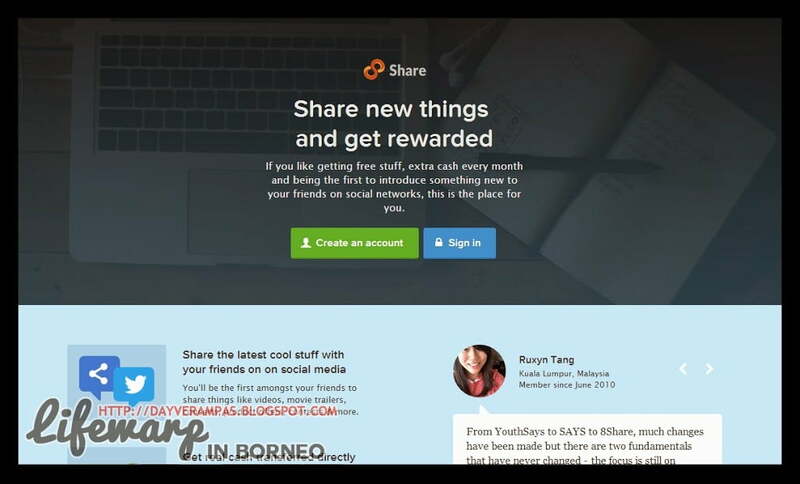 Anyone who loves sharing cool stuff with their friends via social media can join 8Share. In fact, 8Share is now available in Malaysia, Philippines and Indonesia. Why Wait? Join 8Share now. It’s FREE. Click here to proceed.